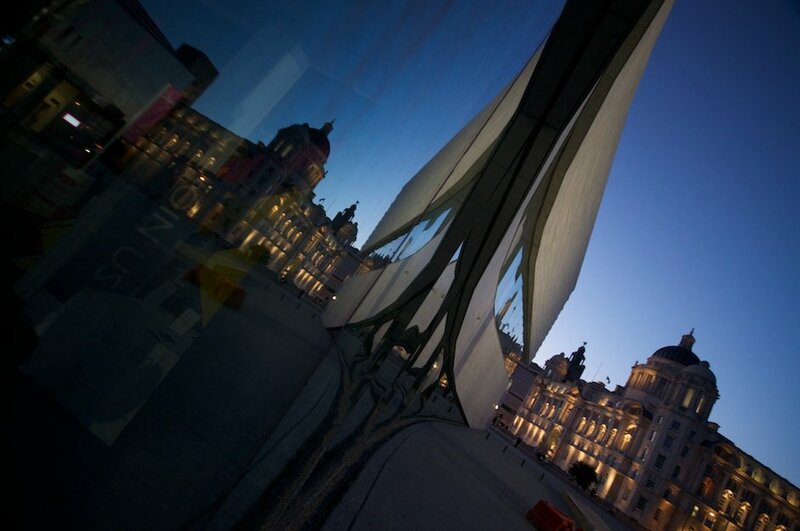 The Port of Liverpool and a Liverbird reflected in the glass curves of the new Museum of Liverpool. I’ve not been in for a look around yet and will definitely be leaving it until the summer holidays have finished before I do but the reviews I’ve seen have so far been mostly positive. Out of the new buildings, the museum seems to me to ‘fit’ the best so far. Whether that’s due to the colouring of the building blending into the new waterfront whereas the black buildings are a tad stark or just down to the fact that the museum isn’t as high and doesn’t block as many views I don’t know….